Here are you orders, Guardians! There’s nothing frightening about these orders! New orders for you to complete, Guardians! New orders and weapons await! You’ve got new orders, Guardians! New weapons await you, Guardians! Go out and earn your new weapons! More challenges for you to complete! New Legendary weapons for you to earn! New orders and weapons for you, Guardians! 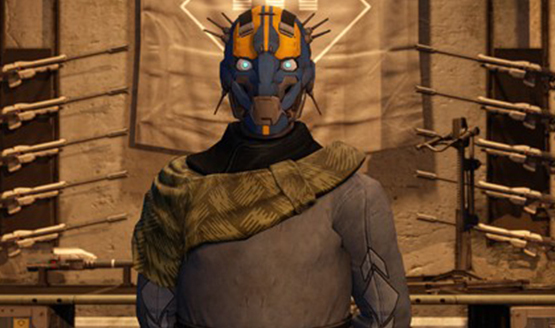 Here are Banshee-44’s new orders and test weapons! More weapons and orders are here! New weapons for you to check out! New stock means new orders! More Legendary weapons up for grabs!